While you won't be able to purchase a top-of-the-line laptop for under $500, there are plenty of machines that can do everything you need for a reasonable price. Laptops in the $500 range won't be great for high-end gaming, heavy video editing, or anything else that requires a lot of processing power, but they're perfect for most tasks. If you mostly use your computer for browsing the web, checking email and doing word processing, you won't be able to tell the difference between a $1,500 laptop and a $500 laptop — so if you don't need a lot of computing power, why not buy on a budget? Will you be carrying it around to school or work? If so, you'll want something lightweight with good battery life. Will you be using it to watch movies or other videos? If your laptop is doubling as a media player, you'll want to have a big screen and a disc drive, both of which are often abandoned on smaller computers. Do you need Windows? While you can't get a Mac laptop on a budget, Windows is well within your reach. However, if you don't need to run Windows apps, you can pick up a Chromebook, which runs ChromeOS, for less. The apps ChromeOS runs include Google Docs, Google Sheets and Google Slides, among others, and may not be what you're used to, but ChromeOS will handle all of your computing basics. How important is durability? The average adult knows how to take care of a computer, but if you're getting a laptop for a child or teen they may not be so careful. In this case, you want something that can keep running even if it takes abuse. Do you need a touchscreen or stylus? Some laptops can double as tablets with a touch interface — which can be awfully convenient if you'll use it. But if you just want your laptop to be a laptop, it's not worth paying for these bells and whistles. How much speed do you need? No laptop in this price range is going to win a speed competition, but you can find computers with 7th-generation Intel Core i3 processors that will be very zippy and handle plenty of multitasking. Lower-end models are more likely to use slower Intel Celeron processors and tablet hybrids will use mobile processors like the Intel Atom, neither of which matches the performance of the Core i3. But if you don’t need your computer to do any heavy lifting, these lower-end processors will handle computing basics at a lower price. Now, let's take a look at our five favorite laptops to see which one is right for you. This well-rounded Windows 10 laptop is a bit bulky for carrying around, but it's just right for about everything else. With a 15" screen and full HD resolution (and a DVD drive), it's great for multimedia — and you'll notice the high resolution even when browsing the web or editing documents. The large, backlit keyboard is comfortable to type on, and the numeric keypad makes spreadsheets and calculations easier. It's also speedy enough to handle all of your everyday computing needs, with a 2.4 GHz Intel Core i3 processor and 4GB of RAM — and you can add extra memory if you want, which will improve multitasking. While its 5.27-pound weight means you probably don't want to lug it around every day, it has a solid 12 hours of battery life. That means it could certainly go to the library or coffee shop with you, though you'll probably want to look for something a bit lighter if you want to carry a laptop everywhere. For what you get, the Acer Aspire E's $350 price tag really can't be beat. It's a great all-around computer that will serve you well, no matter what you need to do. 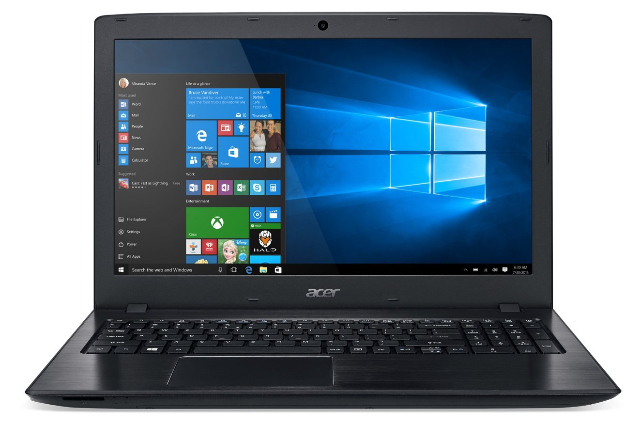 While this laptop is slightly over $500, it offers everything we like about the Acer Aspire E15 with some premium features that are worth the extra $190 in price. 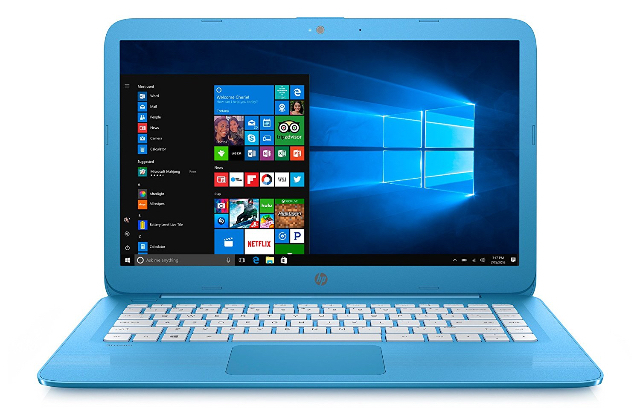 This Windows 10 laptop is slightly smaller, with a 14" screen, but it has the same crisp HD resolution display. It also sports the same 7th generation 2.4 GHz Intel Core I3 processor with 4GB of RAM, but has a speedier 7200RPM hard drive that makes accessing data and loading apps faster. However, the ThinkPad E470 is noticeably smaller than its Acer Aspire counterpart. It's a slender 0.88" thick (compared to the Aspire's 1.2") and weighs just 4.1 pounds. While that's still bulkier than some of the ultraportable machines later in this list, the ThinkPad offers a lot more power. What you lose with the smaller size, other than an inch of screen space, is a disc drive (something often missing in more compact laptops) and a couple of hours of battery life. Still, the E470’s 10 hours of battery life is more than enough to run all day without having to find an outlet. And though you can't use it to play DVDs (without an external DVD drive), it has better sound with Dolby Audio Premium, so your music and streaming videos will sound vibrant rather than tinny, as on some lower-end laptop speakers. But perhaps the biggest reason to buy a ThinkPad is its build quality. The keyboard is spill resistant and the laptop itself is built to hold up to rough handling. We don't recommend tossing it on the ground (though check out our next pick if you need a laptop that can survive a fall), but it's built to last. 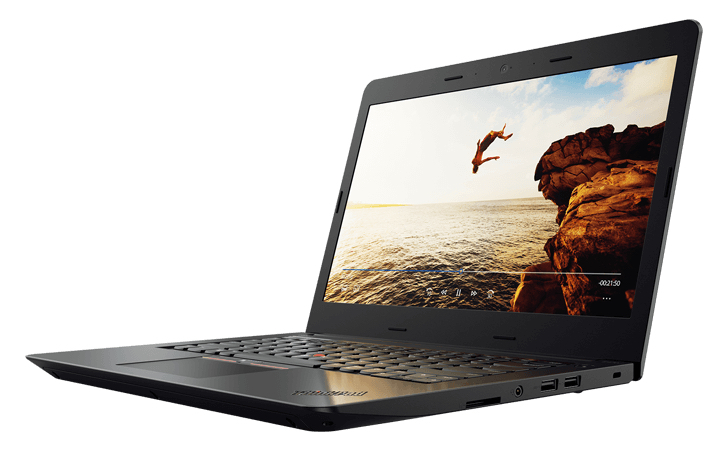 Though the price isn't as low as the rest of this list, the ThinkPad 470 is a premium laptop at a non-premium price. 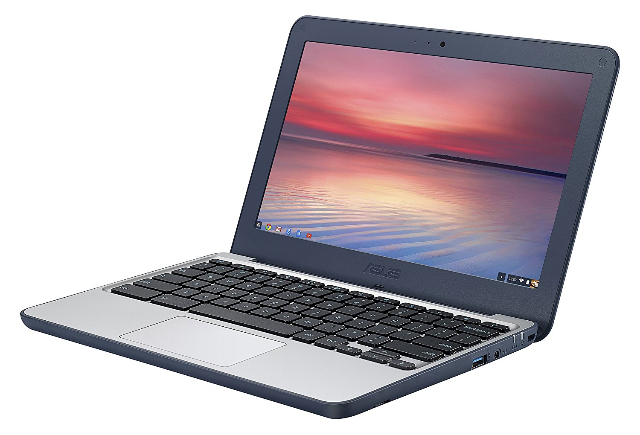 Though they won't run Windows apps, Chromebooks have their own fully capable suite of software — they can browse the web, send email, and edit Word documents. The Asus Chromebook isn't particularly powerful with a 1.6 GHz Intel Celeron processor and 4GB of RAM, so it won't handle multitasking quite as well as some of the competition. But for just $200, you may not mind that it can't juggle too many tasks at once. The standout feature of the C202 is its rugged build quality. A protective rubber guard along the laptop's edge helps it survive drops of nearly 4 feet and the keyboard is spill resistant. That makes it great for kids — especially younger kids — who might not be particularly careful with a laptop. With an 11.6" screen, it's not the best for multimedia, but that does make it supremely portable: it weighs just 2.65 pounds and boast 10 hours of battery life. That makes it a great choice for a computer you'll be carrying every day, and even high school and college students will appreciate it for taking notes. If you like the easy portability (and budget-friendly price) of the Asus Chromebook C202, but want a Windows laptop, the HP Stream 14 is the answer. This Windows 10 laptop is a bit bigger, with a 14" screen and a larger keyboard which make it better for long typing sessions. Despite the larger screen, it's only about a half pound heavier than the C202, and at 3.17 pounds it isn't too heavy to carry every day. The Stream 14's 10 hours of battery life matches the C202 and makes it a good choice for a laptop that doesn’t spend all day on a desk. It also matches up with the C202 for computing power: the Stream 14 sports a 1.6 GHz Intel Celeron processor with 4GB of RAM, though because it runs Windows it feels a bit slower than its Chromebook competitor. It's perfectly fine for word processing and other standard tasks, but don't expect to play games or do much multitasking. While the Stream lacks the C202's rugged build — meaning it may not be the best choice for younger kids — the larger screen and keyboard make up for it. If you're looking for a Windows laptop on a tight budget, this is the one to buy. 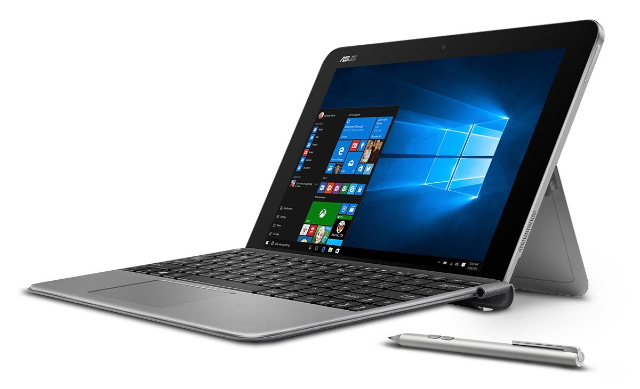 If you need the portability of a tablet but the features of a laptop, the Asus Transformer Mini is the perfect budget-friendly choice — and it runs Windows 10, so you can use regular Windows apps. The Transformer Mini has both a touchscreen and a detachable keyboard, meaning you can use it as a tablet or a laptop, depending on what you need at the moment. It even comes with a stylus for drawing or taking handwritten notes. This hybrid device is also one of the best options for travel: it weighs in at just 1.7 pounds with the keyboard attached, so it never weighs you down. That makes it the perfect device for carrying everywhere to take notes and access your files on the go. The trade-off is a smaller screen and a smaller keyboard, which some people may find uncomfortable for long work sessions. Still, the Transformer Mini's flexibility can't be beat. With a quad-core Intel Atom x5 processor, the Transformer Mini won't win any speed contests, but it's perfectly capable — and a generous 4GB of RAM lets it handle multitasking without trouble. While you could pick up a Microsoft Surface or iPad Pro for more performance, you would pay at least twice the price. For under $400, the Asus Transformer Mini does everything you need at a great price. Can you advise on Best laptop for doing genealogy? Can’t afford a mac! Or would a desktop be the best for this purpose? Genealogy is mostly about accessing websites and uploading occasional photos and documents. Any of the laptops above will easily be able to handle those tasks. The only time they may start to get bogged down a little is if you’re doing photo editing with very large photos. But in this case, go with the Core i3 options above over the Celeron and you should be fine. I have been looking for a good laptop for home. i would like to have it for the next 5 years or more.